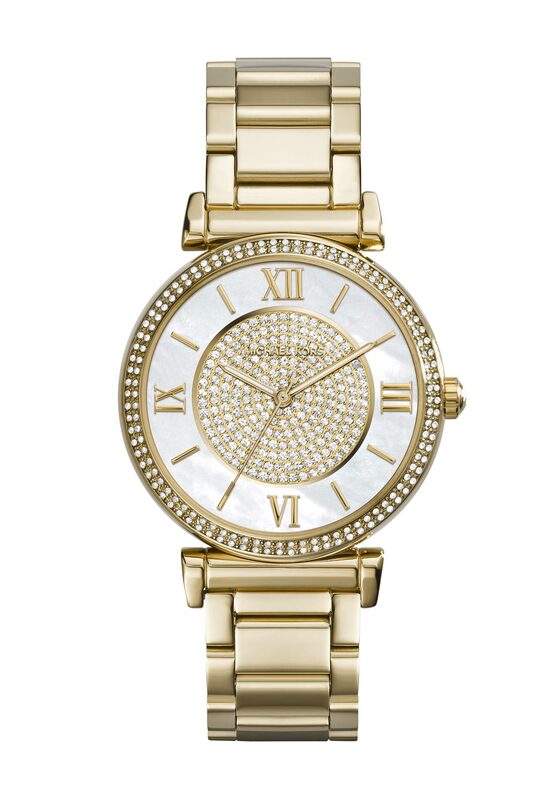 Michael Kors present this timeless watch which is an everyday accessory you will wear for a lifetime. The Catlin watch features a perfect mix of old and new, combining classic details like Roman numerals with timeless pave embellishment on the dial and around the bezel. The timepiece is completed with a gilded gold plated chain link band.